He whom God has touched will always be a being apart: he is, whatever he may do, a stranger among men; he is marked by a sign. Never has any one been less a priest than Jesus, never a greater enemy of forms, which stifle religion under the pretext of protecting it. By this we are all his disciples and his successors; by this he has laid the eternal foundation-stone of true religion; and if religion is essential to humanity, he has by this deserved the Divine rank the world has accorded him. Jesus, in some respects, was an anarchist, for he had no idea of civil government. That government seems to him purely and simply an abuse. To have common glories in the past, a common will in the present; to have done great things together, to will to do the like again—these are the essential conditions for the making of a people. Sometimes they reasoned thus: "The Messiah ought to do such a thing, now Jesus is the Messiah, therefore Jesus has done such a thing." At other times, by an inverse process, it was said: "Such a thing has happened to Jesus; now Jesus is the Messiah; therefore such a thing was to happen to the Messiah." The whole of history is incomprehensible without him [Jesus]. Science has no enemies save those who consider truth as useless and making no difference, and those who granting to truth its priceless value profess to get at it by other roads than those of criticism and rational investigation. Fanatics fear liberty more than they fear persecution. You may take great comfort from the fact that suffering inwardly for the sake of truth proves abundantly that one loves it and marks one out as being of the elect. Immortality is to labor at an eternal task. Jesus, in some respects, was an anarchist, for he had no idea of civil government. That government seems to him purely and simply an abuse. A great social revolution, in which rank will be overturned, in which all authority in this world will be humiliated, was his dream. 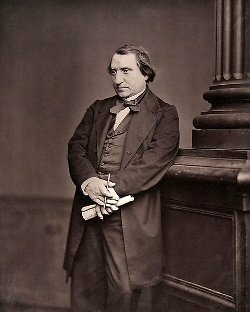 Bio: Joseph Ernest Renan was a French expert of Middle East ancient languages and civilizations, philosopher, historian, and writer, devoted to his native province of Brittany.